Steven Kasher Gallery is honored to welcome Roxanne Lowit among its represented artists with the exhibition Roxanne Lowit: Be Fabulous. This mini-retrospective will include over 40 vintage and modern black and white photographs and over 20 large-scale color photographs. Roxanne Lowit is a premier photographer of the strange world of the rich, famous and beautiful. 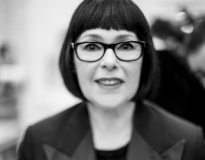 Her work provides the most in-depth coverage of backstage fashion over the last four decades. In the 1970s and 80s, Lowit was one of the first fashion photographers allowed entrée behind the scenes, elevating the snapshot to high art with her candid realism. She has amassed an archive of over 200,000 negatives and color slides taken at hundreds of fashion events in Paris, New York, Milan, and London. Due to her great fascination with what she calls “people with magic,” Lowit is our era’s chronicler of the fabulous. Karl Lagerfeld calls Lowit “fashion’s historian… a witness to the marriage of vanity and fame.” Whether jet setting to Paris or up until dawn in New York, Lowit reveals the magic and madness beneath the glamour and glitz. In her book People: Life After Dark, Lowit writes that she developed a “non-judgmental empathy.” Lagerfeld comments that she “overexposes her subjects while remaining under-exposed.” He calls her “a visual confidant to whom all is revealed.” Lowit never demands a pose – instead her subjects flirt, coax, beckon and reveal. The camera is a source of pleasure for both Lowit and her subjects. 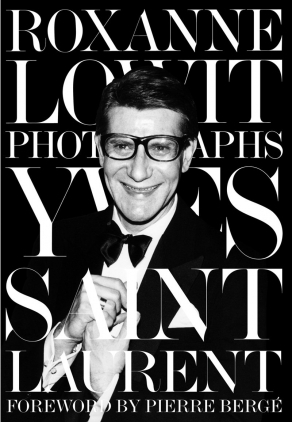 Lowit’s subjects include Irving Penn, Richard Avedon, and Helmut Newton; the original supermodels Linda Evangelista, Christy Turlington, and Naomi Campbell; designers John Galliano, Karl Lagerfeld, and Yves Saint Laurent; and trendsetters Anna Wintour, Diana Vreeland, Kate Moss, and Andre Leon Talley. Lowit documents the magical transformation of men in makeup and the spectacular pageantry of John Galliano’s decadent clothing in her signature close-up style. Roxanne Lowit has photographed for publications such as Vogue, Harper’s Bazaar, Elle, Vanity Fair, and The New York Times. Her publications include Moments (Vendome Press, 1993), People: Life After Dark (Assouline, 2001), and Roxanne Lowit: Backstage Dior (teNeues, 2009). She began her career in fashion photography after an offer to shoot a fashion show in Paris from the SoHo News. Prior to her work as a photographer, she was a textile designer in New York. Lowit graduated from the Fashion Institute of Technology. Roxanne Lowit: Be Fabulous will be on view December 12th through January 18th, 2014. Steven Kasher Gallery is located at 521 W. 23rd St., New York, NY 10011. Gallery hours are Tuesday through Saturday, 11 AM to 6 PM. For more information about the exhibition and all other general inquiries, please contact Maya Piergies, 212 966 3978, maya@stevenkasher.com.